Montenovi s.r.l. has its own carpentry for the cases building and the realization. More than an economical strategy, this characteristic allows the company to plan and to create not standardized packaging, offering the client and the lender, ma in a particular way the work of art, the best security either in the active phase or in the passive one. Shown below, through macro-categories the phases of the cases realization. External application on the case base of two wooden wedges, which permts the movement with trucks, transpallet and fork-lift. External painting with fireproof and antimoth paint and a double coat of blue paint, typical of our raw case. 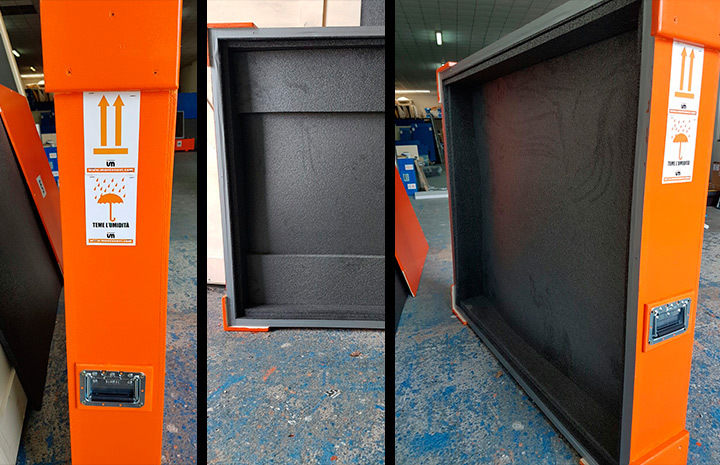 Internal lining case with coupled barrier, a modern material, which permits a high efficient protection and insulation of the case. Internal perimeter endowment made by anti-shock etafoam mm 5 of thick­ness all around the case perimeter. Quality control (MONTENOVI’S QUALITY) and Montenovi logo appli­cation. Work measurement with an evaluation of the containment fixing difficulty inside the object case. 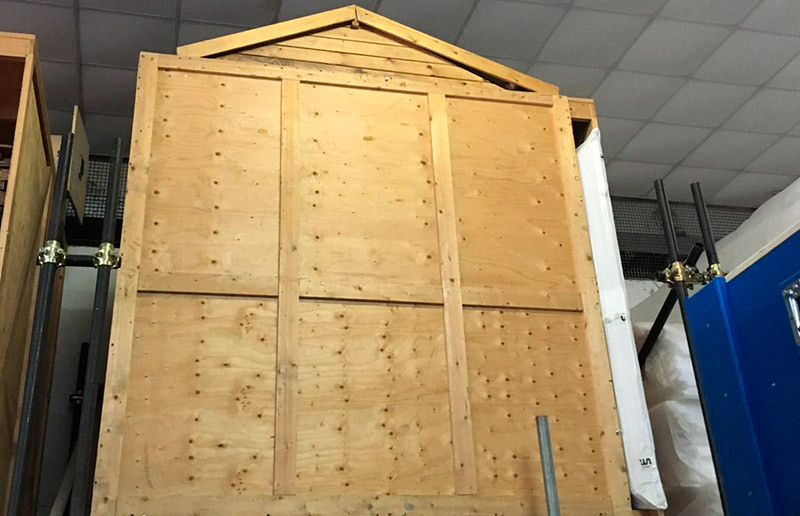 Realization of the case perimeter made by multilayer phenolic wood mm 20, treated with fireproof paint and created with material in compliance with the legislation (no wood declaration), which allows the case expedition all over the world to respect the quarantine custom offices. External application on the case base of two wooden wedges, which permts the movement with trucks transpallet and fork-lift. 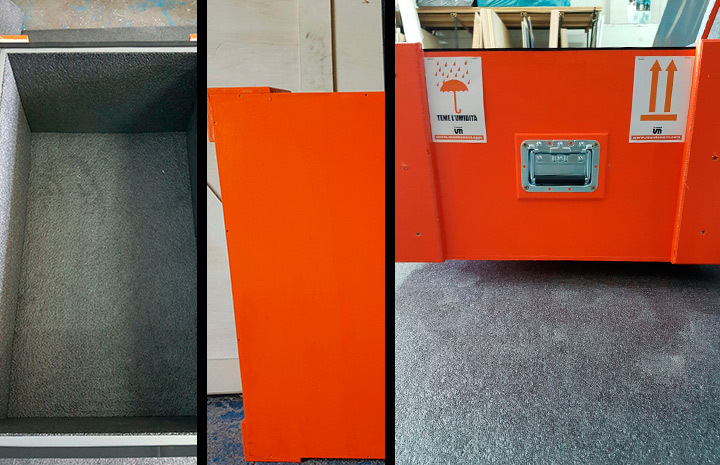 Realization of the case perimeter (wood framework), which will contain the work perimeter made by multilayer phenolic wood mm 20, treated with fireproof paint Bottom case realization with a phenolic multilayer plate always in compliance with the legislation (no wood declaration). The panel will be of mm 18 thickness. Panel tail spin to the framework with parker screws in built with wood and without security washer, being this part of the case not destined to be un screwed. Application on the case corners of wooden screwed blocks. The angle brackets have the double tasks to stiffen the case and to allow an easier movement with trucks and supporting structures, it means the position of eventual gunwale for the crane raising. Internal perimeter endowment made by anti-shock etafoam mm 5 of thickness all around the case internal perimeter. Quality control (MONTENOVI’S QUALITY) and Montenovi logo application. To better protect the works of art entrusted to us, we have built an independent structure with a double wall fence and a h24 alarm. 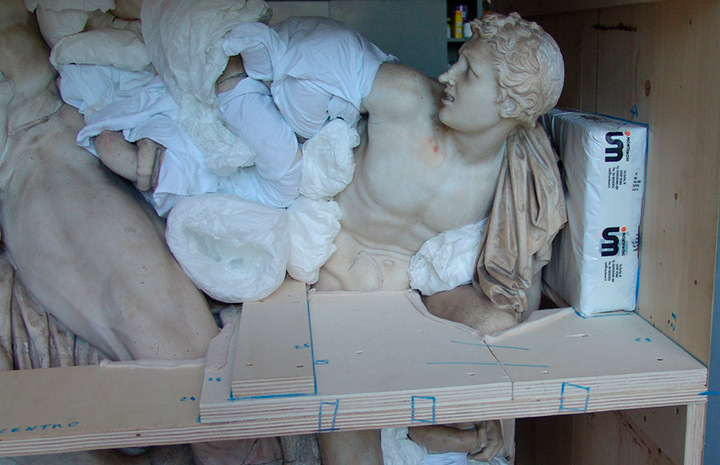 Our location has the highest qualitative standards in the field of security, conservation and climatic protection for the works of art. We have more than 4000 mc warehouse with the opportunity of box rent, it means spaces with keys and numbered seals. We have also set up a high quality facility report standard caveau, divided into elevated security boxes with organized climatic control in order to offer our customers the best security level and the privacy the need. We also offer a security car park service for on board cargo vehicles either in open space or in covered one. We use vehicles with anti-particulate filter with a maximum emission class Euro 5. They have wider direction-indicator lamps compared to the standards and halogen headlights that allow a clear night vision that make the journey especially secure. There are air suspensions, which are also self-leveling and adjustable from the inside of the vehicle. These are able to soften the roughness of any kind of terrain, even the roughest. The tyres are large and inflated with nitrogen, which ensures the greatest stability. Inside, the seats are cushioned and offer the best comfort both for professional drivers and couriers that could ask to travel aboard to follow and supervise every phase of the handling. For security reasons we prohibit, since several years, the application of explicit advertisement on the outsidebody of our vehicles. We have realized, with time, that this “old” habit is an irrevocable condition for the registrars in museums for loans. The indoors of the vehicles have special hooks used to block the containment belts which are made of a much more resistant material compared to the one normally used; thus even loosing a bit on the capacity of the vehicle we have ensured, in case of impacts, a rigidity of attachment and a minor chance of torsion. An agent periodically controls the wear or damage of the mechanical parts of the vehicle. This way we guarantee safety both for our customers and drivers. 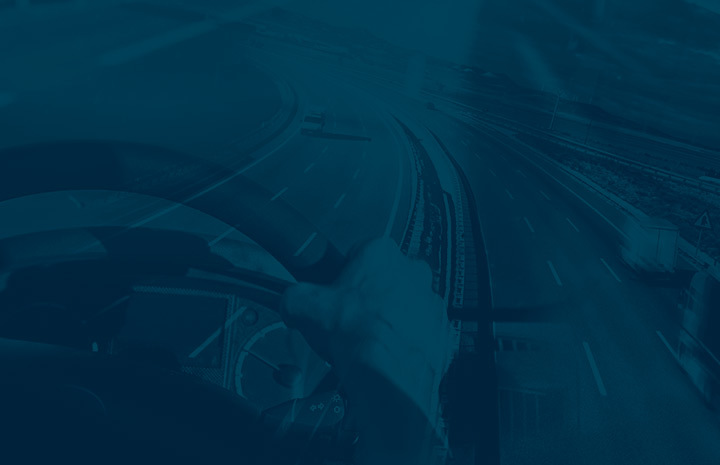 The same drivers are carefully respectful of working and rest times, they always travel in couple and have next-generation radiotelephones thanks to our agreement with the RAM of Vodafone, leader in the radio-communication market, which allows them to be reached and covered at any time. The vehicles are never, absolutely never left unattended; not even for a second. To make this sure, in case of multiple withdrawals, there will be 3 agents travelling on the vehicle. All our employees have a first aid patent. Montenovi’s vehicles are equipped with a fire extinguisher and a rear hydraulic panel to lift and load the artworks that also has an instrusion control in case of rear-ending. All our vehicles have a GPS satellite system with remote control that allows us to control from an external device, 24/7, speed, position, humidity control and temperature of the cargo bed, the possible opening of the doors and any sensitive data for the safety of the transport, hence of the artworks. The passwords of the system are changed every week. The alarms are connected to a private police agency and to the traffic police for an immediate alarm in case of theft or any other event that could damage people or the transported goods. Attached are photostatic copies of the registration documents for the evaluation of the vehicles age. palletization during loading and unloading of the boxes from the aircraft. This way we can be present at all the phases of work until the closure or opening of the hold doors of the aircrafts. Special attention is dedicated to the phases of control of third operators. In the loading and palletization areas of all the airports of the world, the only ones authorized to handle the boxes are the operators of the companies entitled for this kind of service. 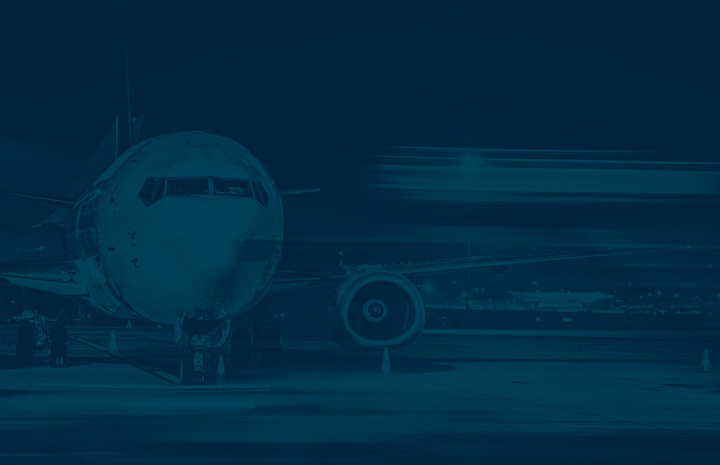 The staff of these companies is certainly qualified for the handling of regular goods but a careful supervision allows us to request particular attention for our boxes and to monitor them from their insertion inside the container of shipping or on the pallets that must be put inside the aircraft. Our supervision continues getting information on the number of pallets and position of the boxes, controlling the loading and unloading on and off the aircraft to verify the safe loading and the actual departure of the boxes. Inverse operations are done in case of arrival of a shipping in Italy, with the same care.